All you need is a dollar and a dream. Well, these days, many of the games cost $2, $5, and even $10. But New York Lottery’s jackpot and instant-win games still offer New Yorkers long shots at major bucks. All revenue earned by the lottery goes to support education in New York State. Lotto and Mega Million jackpots are estimated based on projected sales. Projected sales estimations take into account recent historic trends, weather, competing jackpots and how much potential players are distracted by current events. Each Instant Game is different, offering different odds and prize levels. The majority of Instant Games' overall odds of winning any prize is approximately 1 in 5. All cash prize-winning tickets must be redeemed within one year from the date of the drawing. 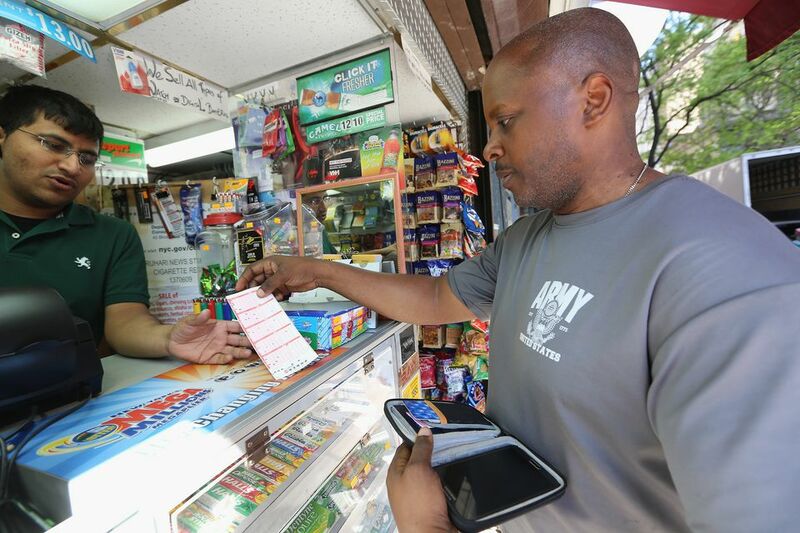 If you need instant gratification, New York Lottery offers a wide selection of instant-win, scratch-off games. They introduce approximately two new games every month at prices of $1, $2, $5 and $10. Popular instant games include King Kong, with a record $8 million top ​prize, and Set For Life, which pays the grand prize winner $5,000 a week for life. How to Play Lotto: Pick six numbers between 1 and 59 (or let the QuickPick machine select the numbers for you). The minimum play is $1 for two-game panels. Or you can play up to $5 on the 10-playcard. Then watch the live TV drawings on Wednesdays and Saturdays at 11:21 p.m. on WABC Channel 7. Lotto Jackpot: For each LOTTO drawing, 40% of the sales for the draw (minus 2% taken out for a reserve fund) is allocated as prize money. How to Play Powerball: Pick 5 numbers out of a set of 59 white balls plus a Powerball number out of a set of 39 red balls. Each game costs $1 and each playcard has five game panels. You can try your luck seven days a week, 4 am until terminals close at 3:30 a.m. or 9:00 p.m. on Wednesday and Saturday draw nights. How to Play Sweet Million: Ask for a Quick Pick or choose 6 numbers out of a set of 5930. Each game costs $1 and each playcard has ten game panels. You can try your luck every day, 4:00 a.m. until terminals close at 3:30 a.m. or 9:00 p.m. on Monday and Thursday draw nights. Odds of Sweet Million: Sweet Million boasts that it offers your best shot of winning a million bucks. Odds of winning the grand prize are 1 in 3.8 million. How to Play Take Five: Pick five numbers from 1 through 39, and fill in your chosen squares as instructed on the playcard (or let the QuickPick machine select the numbers for you). The minimum play is $1 for 1 game. Or you can play up to $5 on the 5-game playcard. Winners are revealed during live TV drawings every night at 11:21 p.m. on WABC Channel 7. Take Five Jackpot: For each Take Five draw, 50% of the sales for the draw is allocated as prize money. The largest Take Five jackpot in the last five years was $825,960.00. Additional games include Numbers, Win 4, Quick Draw, and Pick 10. Visit the New York Lottery site for more information.